If the bill is not approved by February, Brazil faces the possibility of being suspended from the international Financial Action Task Force (FATF). 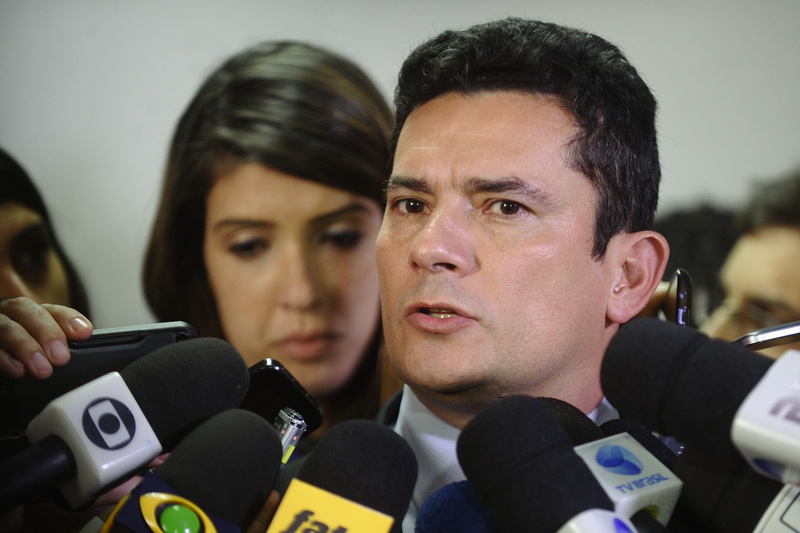 RIO DE JANEIRO, BRAZIL – Brazil’s future justice minister, Sergio Moro, urged the Brazilian Chamber of Deputies on Friday to approve as soon as possible a bill which would comply with the United Nation Security Council’s resolution relating to sanctions for those accused of terrorism. Brazil’s new Justice Minister, Sérgio Moro, urges Chamber of Deputies to approve new anti-terrorism bill, photo by Marcos Oliveira/Agência Senado. According to Moro, if the bill is not approved by the beginning of next year, the country faces the possibility of being suspended from the international organization Financial Action Task Force (FATF) which combats money laundering and the financing of terrorism and has more than thirty member countries. “If Brazil is suspended from this organization, this will do a great harm to the image of Brazil, to the international image, and will do a great harm to business,” commented the future minister on Friday after announcing a few people who will be working with him starting January 1st at the Justice Ministry. In 2010, the Task Force alerted Brazil of its lack of initiative in adopting the resolutions to combat terrorism. In June of this year, the country was warned that failure to comply with the recommendations could result in sanctions, and possible expulsion. According to financial daily, Valor Economico, those familiar with the issue say there is ‘a considerable risk of capital flight and restrictions on new investments’. The suspension of the country from the task force could lead international financial institutions to take a more restrictive stance when it comes to doing business with Brazil, hindering international transactions. In Brazil’s Lower House since June, the proposal lays down a national legal framework for combating money laundering and terrorism as well as freezing of assets of individuals and companies associated with those activities, in accordance with the resolutions of the United Nations Security Council. The bill had its voting process dubbed urgent in the middle of November, but as of the beginning of December it has not yet made it to the Chamber’s voting agenda.